So here they go. 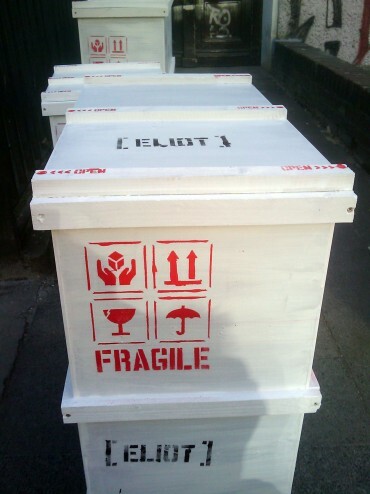 Cosily packed in beautiful boxes : ) My paintings are on their way to 44309 GALLERY Dortmund. I will show embroidered Robots, Photography and Prints. Quite some new stuff, never shown before as well. Opening will be 5.March @ 19:00 and i will be there in person to celebrate with you !